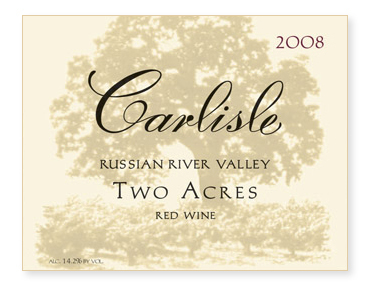 Curiously, not a single shoot was lost to frost at Two Acres in 2008, even though just a stone’s throw away, Papera Ranch and Carlisle Vineyard were both hit quite hard. Picked October 18th, the must was cold soaked for six days prior to an indigenous fermentation. Aged in all French oak, 18% new, and bottled unfined and unfiltered.